Share the bronze branch's EPK! Lovely! Can't stop listening to this album! Pure, clear vocal treat! From the primal feeling of Oró Sé Do Bheatha 'bhaile vocals and bodhran, to the beautifully haunting Raglan Road, to the fun of The Dunne Song, there is NOT a piece on this album that disappoints. My new favourite. Virginia – the Bronze Branch is a Winnipeg-based singer whose great, great grandparents were Irish immigrants that settled in Hants County, Nova Scotia. Tonight in Prince Edward Island she releases her latest recording, An Craobh Umha. Recently Celtic Life International spoke with the songsmith about her passion and profession. How, when and why did you get involved with music? It’s a bit convoluted. I sometimes think of my life as a plugged-in pinball machine game in which I am the wee ball careening from one thing to another- ping, ping, pong, ping- with an occasional flip of a lever changing my course in unexpected directions. Looking back, everything seems to have directed me to here, and the randomness seems anything but random. Music was just waiting for the right time to insert itself into my life again. When I was a child of 11, as I walked to school, I sang at the top of my lungs, hoping to be discovered. I loved to sing. Ten years ago, I began classical voice, piano and guitar lessons and sang everything from German lieder to jazz to bluegrass. My musical history is like Elvis Costello’s experience, “I started with rock ‘n’ roll…then you start to take it apart like a child with a toy…then you see there’s blues and there’s country. Then you go back into country and American music and you end up in Scotland and Ireland eventually.”One summer night on PEI, I saw musician Gordon Belsher play the Irish bodhran drum at one of Cynthia Macleod’s Brackley Beach ceilidhs. 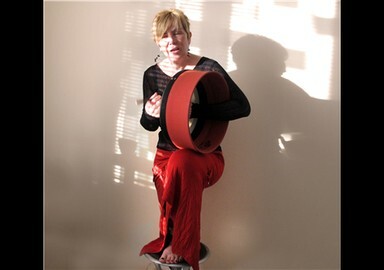 When I returned to Manitoba, I found musician Susan Hammer who was teaching bodhran drum at the Manitoba Conservatory of Music. She suggested that I take an Irish singing course with an all Ireland singing champion, Maureen Taggart. The day I walked into class, I had no idea that she was teaching, not just Irish songs, but Irish songs “as Gaelige”. She asked me if I was certain I had no Irish blood because it seemed so natural to me. By some quirk of fate, I was led to discover sean nos-old style singing in Irish Gaelic-and my closeted history. Is it the same thing that inspires you today? Yes! I love singing, and I love the songs. Singing my ancestors songs gives me a sense of rootedness. My Cork born family Kenty was early 18th century settlers in Hants County, NS, and my great, great Grandmother Stewart came to Canada from “the north” in black ’47 during An Gorta Mhór, The Great Hunger, commonly known as the Irish potato famine. I’m looking forward to further researching my history one day. What else inspires you these days? 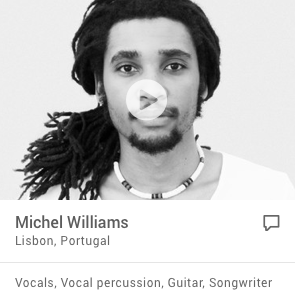 Other musicians. When I was in Tulach Mhór Ireland a few years ago, I chanced upon Janet Harbison’s harp orchestra concert and I was inspired to take up the Irish harp. I’m beginning to see a pattern here! I have a fabulous Fisher harp, and the tunes are so beautiful. I could work on O’Carolan tunes for the rest of my life and never tire of the music. What are the biggest challenges of the profession? Many of the mentoring opportunities and encouragement are directed at young performers. I often feel very alone in my quest. It would be great if the opportunities could be for new performers-of any age. Also, there is an understandable prejudice toward hiring Irish performers for Irish, Celtic and folk festivals. My response to that is; Does an opera singer need to be Italian to sing Italian opera or German to sing Wagner? I add my own Canadian interpretation to the music and I think that has value. What are the rewards? While I sing, a woman in the audience has tears running down her cheeks, a man comes up at the end of my concert and says, “I haven’t heard singing like that since I left Ireland. Thank you.” Or when I sing Airde Cuan and the entire audience sighs audibly at the end. What have been some career highlights? I was invited to sing at a concert in Charleville castle in Tulach Mhór and I sang Slan Le Maigh. I drove down a long winding road on a nearly moonless night and the hovering shapes of twisted old oaks lined my path It was especially exciting to me because it was the first time I had sung in Irish to the Irish. I took a photo of the door knocker on the castle and it’s on the back cover of my album. When I studied harp at the Cairde Na Cruite festival at An Grianan near Termann Feichen, I sang Airde Cuan to a packed pub of student musicians and teachers. I sang from the heart, and to my happy surprise, they sang the chorus with me. When I finished, the applause was genuine and emphatic. My husband said it sounded like they wanted an encore! How have you grown as a player over time? My performance name, the bronze branch, an craobh umha, is a symbol of apprenticeship in the bardic tradition. I’m further along the path, but I have a long way to go. I’m gaining confidence with time. What inspired the new recording, and what are some of the themes involved? I love the old field recordings and they inspired me to record my own interpretations. I’m a big fan of the ITMA- the Irish Traditional Music Archive. The themes on my recording reflect my love of the sad songs, the laments – homesickness, famine, unrequited love – although, I did add song #13 which is a fun song about the Dunne family. Sometimes you just have to laugh! Is your creative process more ‘inspirational’ or ‘perspirational’? Both. Definitely learning the Irish is perspirational! And I practice a lot. But then the interpretation I give a song is entirely inspirational, whether in Irish or English language. What makes a good song? I usually become attached to the words. An authenticity of emotion is essential. I like a song that makes me laugh or cry. The melody falls second for me, but it has to stand alone on its own merit. What are your thoughts on the state of music in Canada today? I think there is a very high standard and that is partly due to the Internet and improved accessibility. Because of the CRTC, there is also a much better chance that someone at the start of her career, like me, will be heard. I think we’re doing well. Are we doing enough to promote and preserve Celtic culture? I think that Celtic culture is being nurtured more than ever before From the Irish perspective, the government is mandated to promote the culture and language in Ireland and across the diaspora of Irish descendants. There is even an Irish North American Gaeltacht in Tamworth, Ontario and that’s wonderful. What’s next on your creative agenda? 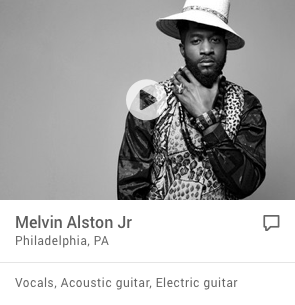 I’m releasing my album and that’s a creative dream unearthed. I’m studying harp. I’m working on a number of Irish songs “as Gaelige” that I began to learn at scoil eigse with Eilis Ni Shuilleabhain at Tulach Mhór. I’ve begun storytelling during my concerts and so I’ve been researching to find the stories that will resonate with me and my audience. And, of course, I’m performing wherever I am invited to sing. It’s all very exciting for me! Some dreams are so deep we don't know they are buried. Her sixty years had taken her from east coast marram grass of Massachusetts to a sea of prairie grass in Manitoba, and her childhood dream of becoming a singer had been replaced by an interesting life - marriage and family, teaching at a Hutterite Colony, owning a wool shop, weaving rugs for galleries and making soap for her company, Virginia's Soap Limited, until one summer night on Prince Edward Island, Canada. 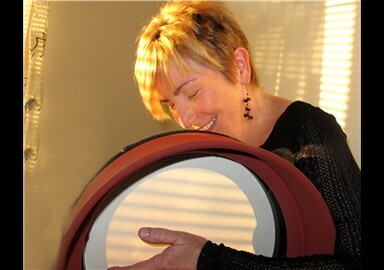 She saw musician Gordon Belsher play the Irish bodhran drum at one of Cynthia Macleod's Brackley Beach ceilidhs, and when she went home to Manitoba, she took up the bodhran and by some quirk of fate, discovered sean nos singing (Irish gaelic) and her closeted history. Her family were early 18th century settlers in Hants County, NS, and her great great Grandmother came to Canada in black '47 on the Rapahannock during An Gorta Mhór, "The Great Hunger", commonly known as the Irish potato famine. In this, her first album, the bronze branch, pays homage to her history. As part of the Irish diaspora - she claims her authentic roots. She settled on the prairies but maintains a home, with her husband, on the north shore of PEI. Salt air is part of her DNA. The theme of loss and homesickness which draws her, has its roots in this almost tidal pull. The irony of spending her summers on Prince Edward Island across the pond from her Irish ancestors, and surrounded by lush potato fields is not lost on her. After selling her soap business of 25 years, Virginia followed her passion all the way to Ireland. She delivers traditional songs in Irish and English. What sets her apart is her simplicity. Unaccompanied and raw, her earthy and expressive voice connects with the heart. Add a red bodhran drum or sparse guitar or harp accompaniment and her passion is palpable. She has sung in places as diverse as the haunted Charleville Castle at Tulach Mhór, Ireland, the pub at Cairde na Cruite, Termonfecken, Ireland, the Auld Triangle sessions in Charlottetown, ceilis across PEI, and at sessions on Cape Breton Island. At home in Winnipeg, she has performed at Comhaltas Reels on Wheels, Irishfest Kickoff, Prairie Ink Cafe, The Irish Association of Manitoba and Prairie Celtic Club, Gordie’s, Happy Mike’s, and Sam’s Place Coffeehouses and packed house concerts. She is also a member of the “Flatland Ceili Band” which supports Comhaltas Winnipeg. She studied classical voice with Marilyn Szajcz, a well respected voice teacher in Winnipeg and classical piano with Eric Lussier, maestro of Orchestra Baroch of Winnipeg. In addition she studied sean nos, traditional singing in Irish, from two All Ireland champions - Maureen Taggart in Winnipeg, and Eilís Ní Shúilleabhain in Tulach Mhór, Ireland. She has recently taken up the harp, learning aurally from Claire Shane Common formerly of the Belfast Harp Orchestra. Says Mrs. Dunne to Mr. Dunne, "More bread or we'll be done."